KING OF THE ROAD! This beautiful Peterbilt 579 has it all. 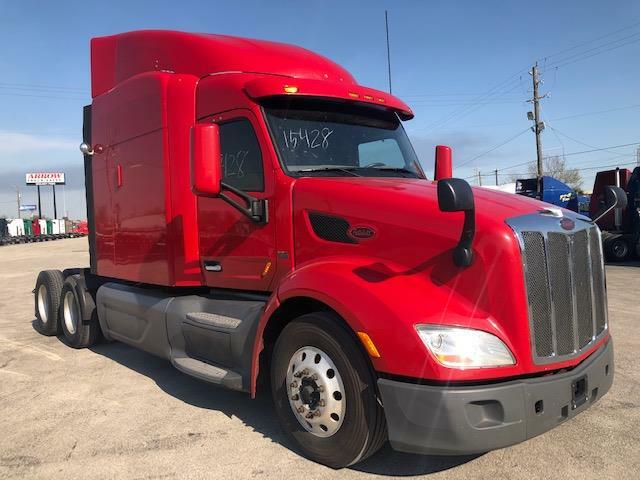 Not only do you get the fuel efficiency and comfort that are essential to being profitable, you also get the looks that have made Peterbilt stand out in a class of its own. Power windows, power locks, power/heated mirrors, air-ride seats, and a spacious 72" mid-roof with lots of storage. DOT ready, PM serviced and professionally detailed. 90 Day Confidence+ Power-Train Warranty included. Extended warranty, insurance, 24/7 roadside assistance, and financing available! We say yes when others say no! Call us today and let one of our friendly and knowledgeable sales consultants help you find the equipment you need.